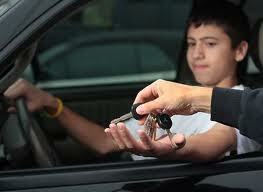 Car crashes kill over 6,000 teens each year, and seriously injure 300,000. With numbers this outrageous, it's shameful that we don't search for the cure the same way we do with so many diseases that kill just as many. The difference is that the cure can be as easy as half a day's training. Car crashes are not inevitable, losing control is not a part of the learning process, and new drivers can learn these skills before they are placed in the very risky first-year driving environment. With the help of communities throughout New England, Skid School has changed statistical outcomes and outlooks of thousands of young drivers. It is our goal to not only make this life saving training available to every teen, but to change the meaning and perception of safe driving. Our program focuses on essential avoidance skills while reinforcing broader safety themes, such as seat belt use and the dangers of distractions. We also keep records. 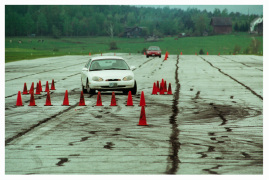 We began the Skid School Driver Skills Development Program for youthful drivers in 1996, working with Cooperative Insurance in Middlebury, VT. The core skills of the program were taken from our Police Emergency Skills Training at the Vermont Police Academy, where we taught for 30 years. Our goal was twofold; to produce newly licensed drivers who could be depended upon to handle an emergency such as a deer in the road or a car running a stop sign in front of them from the first day of their driving careers, and to produce new drivers whose judgment and decision-making skills reflected a maturity we expect from adult drivers with good driving records. A study by the Vermont Center for Justice Research is a look at 142 youthful drivers either on permits or within weeks of licensure at the time of training. After three years, the Skid School trained drivers crashed less than half as often as their untrained peers. This confirms what we have seen for years from the data of our oldest clients, who are primarily from the risk-management side of insurance companies that specialize in law enforcement and municipal training.